Inspired by iconic American design, the 2015 Chrysler 200 delivers beautiful craftsmanship using high-quality materials, understated elegance, and is loaded with state-of-the-art technology and safety features. 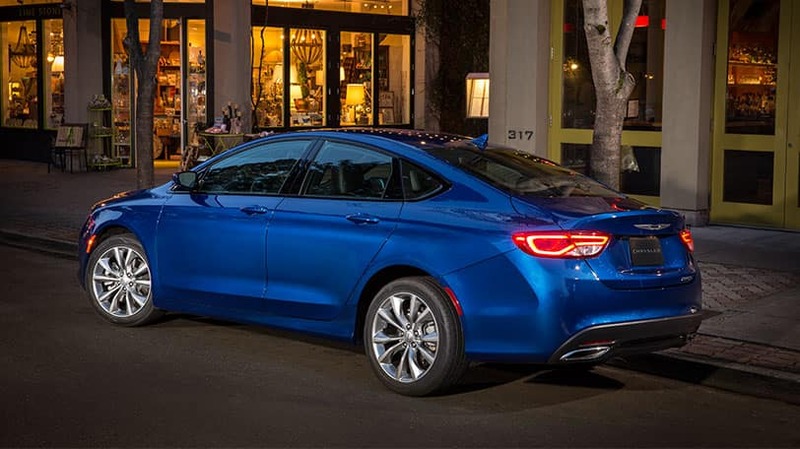 The 2015 Chrysler 200 is the industry's first mid-size sedan with a standard nine-speed automatic transmission, which enables expected highway fuel economy ratings of 35 miles per gallon. The Chrysler 200 offers the choice between of two world-class engines are available: the 3.6-liter Pentastar V-6 engine produces a best-in-class 295 horsepower and 262 lb.-ft. of torque, or the standard 2.4-liter MultiAir®2 Tigershark I-4 engine produces 184 horsepower and 173 lb.-ft. of torque. A new available sport mode in the 2015 200 provides an exciting driving experience by modulating steering, throttle and shifting inputs, electronic stability control, Adaptive Cruise Control Plus and all-wheel drive for a driving experience that will get the adrenaline pumping. 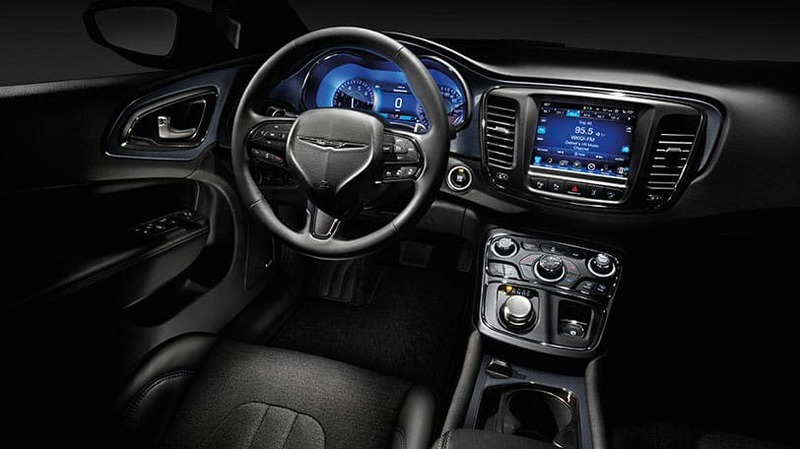 The 2015 Chrysler 200 delivers a wide variety of easy-to-use, state-of-the-art advanced technology to keep drivers connected and informed yet focused on the road. The 2015 Chrysler 200 offers the most available safety and security features in the segment with 60. The available 7-inch LED full-color instrument cluster allows drivers to receive information and feedback in the format they prefer, in a similar customizable way as an IPhone. A glowing bezel surrounding the instrument cluster gives off a distinctive, pleasing blue glow. In addition to the instrument cluster, a 8.4-inch uConnect command center is available. uConnect helps the driver, as well as passengers get connected to what matters such as local gas prices, or movie times. The 2015 Chrysler 200 debuts a beautiful exterior design featuring the "face" of the Chrysler brand - a thoughtful, exquisitely crafted interior and an exceptional driving experience, complements of a segment-first nine-speed automatic transmission and an Alfa Romeo-based chassis. With the choice of two world-class engines, an innovative all-wheel-drive system, available sport mode and paddle shifters for an engaged driving experience, and estimated highway fuel economy of 35 miles per gallon (mpg), the all-new Chrysler 200 makes the commute something drivers will look forward to. Want to test-drive a Chrysler 200, call us today!